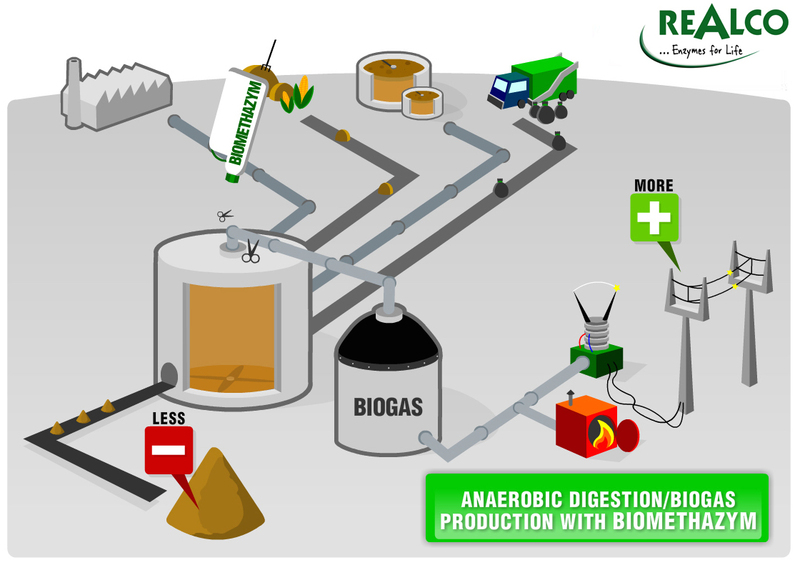 Biomethanation or anaerobic digestion consists of the degradation, in the absence of oxygen, of miscellaneous organic matter leading, among other factors, to the production of methane (CH4). This is recovered in the form of heat and/or electricity. This biochemical degradation is carried out by different bacterial combinations performing a different stage over the whole of the process. The first stage is hydrolysis. This is carried out by the extracellular enzymes produced by bacteria. This stage is characterized by breaking the macromolecules into smaller compounds which are more easily digestible by the other bacteria populations. 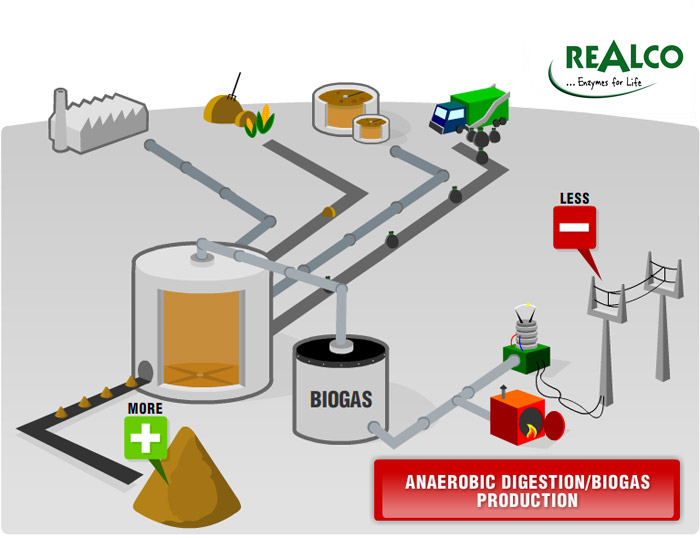 REALCO has shown that this stage of enzyme production was the limiting stage of the whole organic matter transformation process. In order to prove the effectiveness of its technologies, REALCO always surrounds itself with professionals from the sector. As an example, REALCO has in particular joined forces with the company NASKEO Environnement to quantify the added value associated with the use of an enzyme-based solution on a specific substrate (apple draff). NASKEO Environment is a French spin-off company which offers the small and medium-sized agri-food and pharmaceutical companies ecological stations allowing their organic pollution to be transformed into renewable by the anaerobic digestion process.